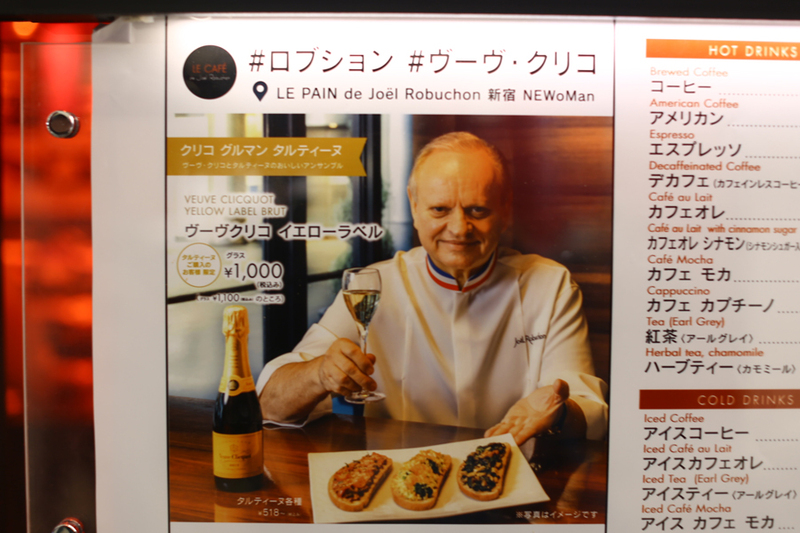 [Tokyo] Le Café de Joel Robuchon may be a way for you to try out “Michelin” pastries without stepping into their fine dining restaurants. 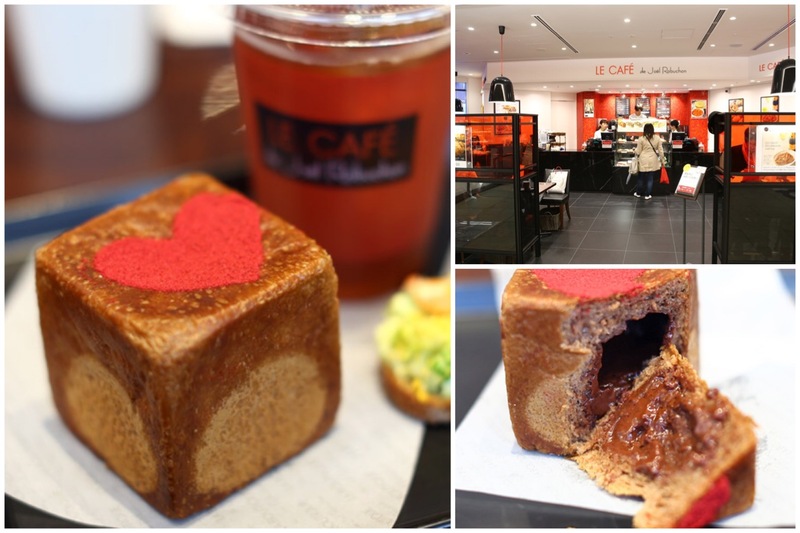 This is a popular bakery-café with the brand-name of world renowned celebrity chef Joel Robuchon – the most starred Michelin chef in the world. 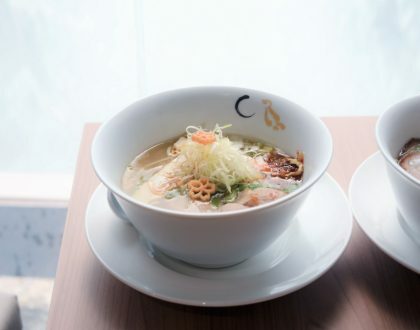 It is located in the upscale shopping mall NEWoMan in the Shinjuku area of Tokyo. You know how some of the best things at a Joel Robuchon restaurant (especially the Atelier brand) are the mashed potatoes and bread basket. 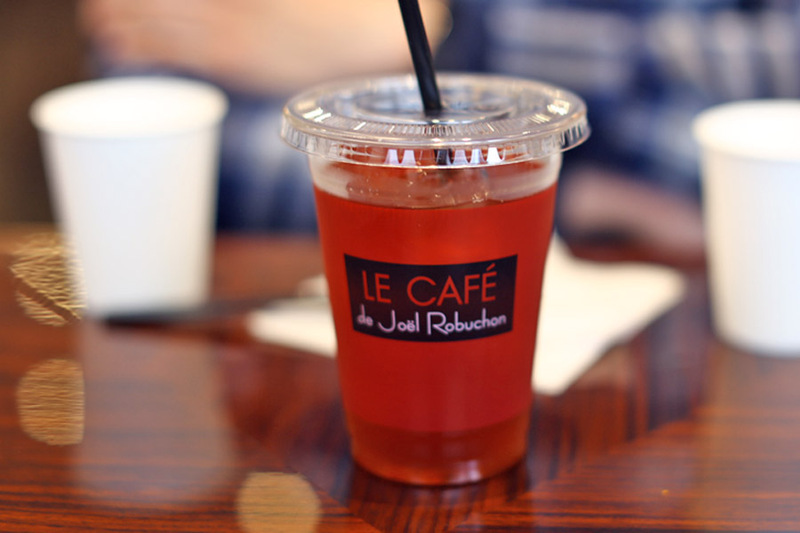 The cafe serves premium French pastries and breads baked fresh daily to patrons in an informal, casual setting. The interior is done up with JR’s signature red and black as a main colour theme. Décor is not too fanciful, with very basic tables and chairs, yet maintains a modern sophisticated ambience. 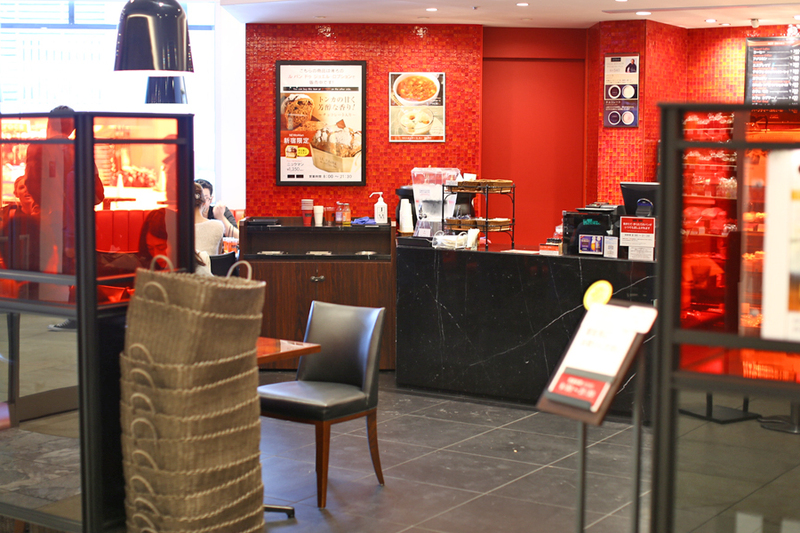 This is a self-service café, so patrons are expected to find their seats and order from the counter. But you know how the Japanese ladies are like when they dine in a café. 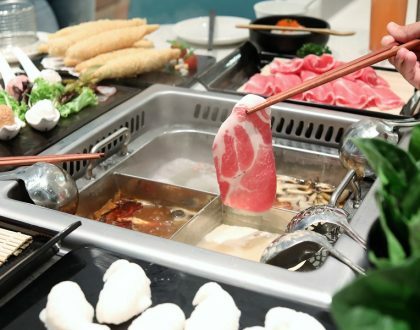 They have this look of pure satisfaction and enjoyment when eating, that anything that they put into their mouths seems divinely delicious. 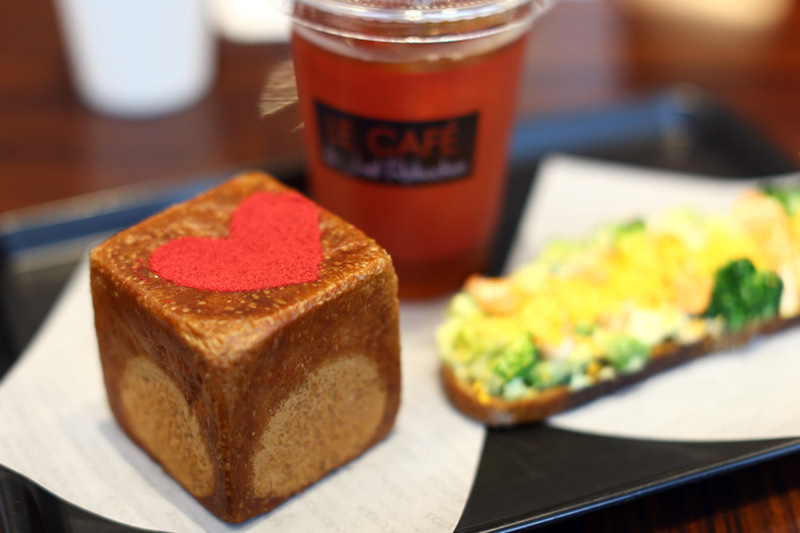 The café uses fresh Japanese ingredients to produce its daily supply of breads, cakes and pastries. 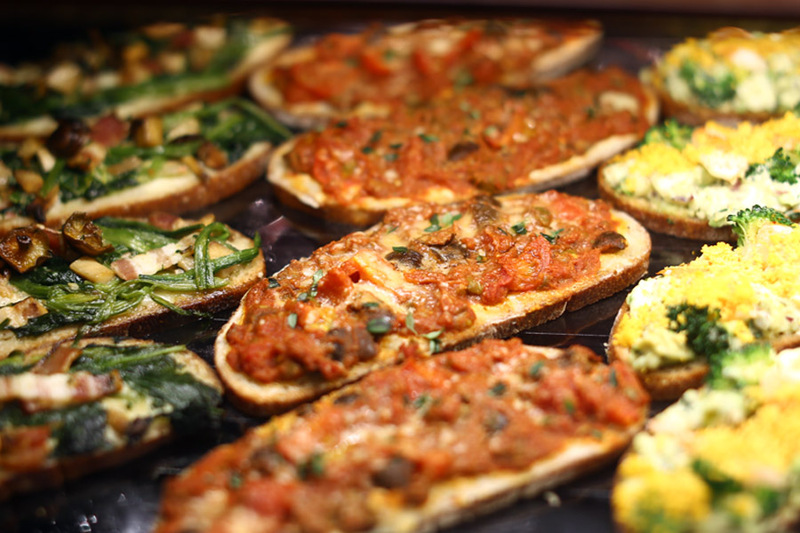 Seasonal breads with mushrooms and walnuts are also available and constantly change throughout the year. 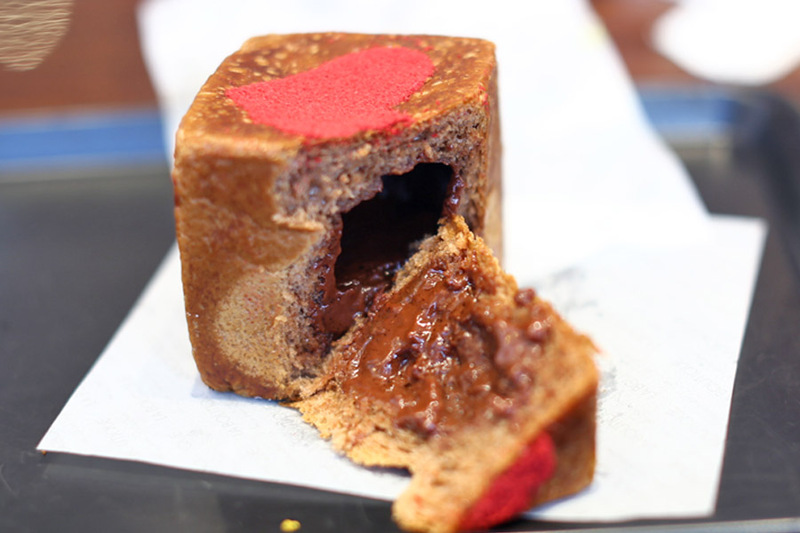 I had a Pain au Chocolat Framboise (¥356, SGD4.42), delightfully presented with red hearts powdered on a chocolate bread cube. 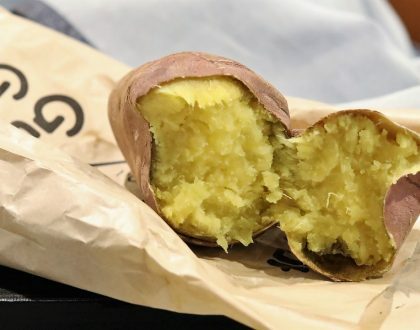 The bread when cut open, would remind you of a chocolate lava cake with its molten fillings. Other than that, I thought that the outer layer could be thinner. 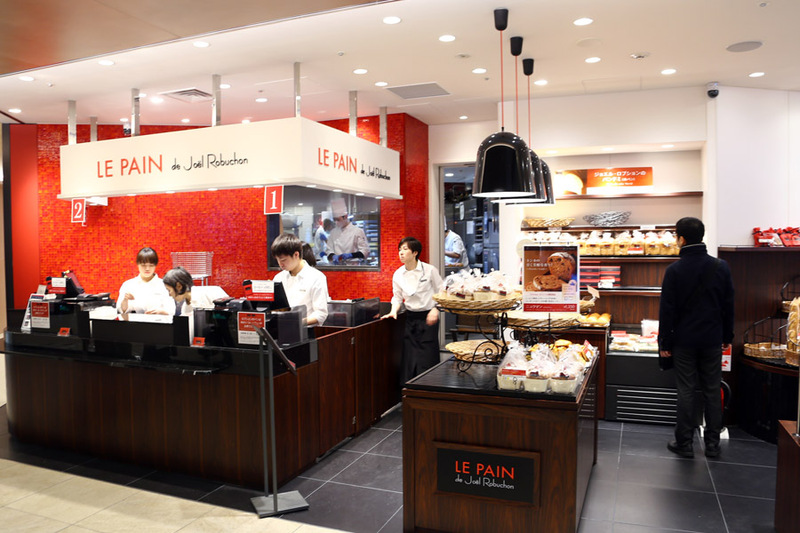 There is also a Le Pain de Joel Robuchon which is a bakery right beside the café and one can buy pastries and snacks from there to enjoy at the café. 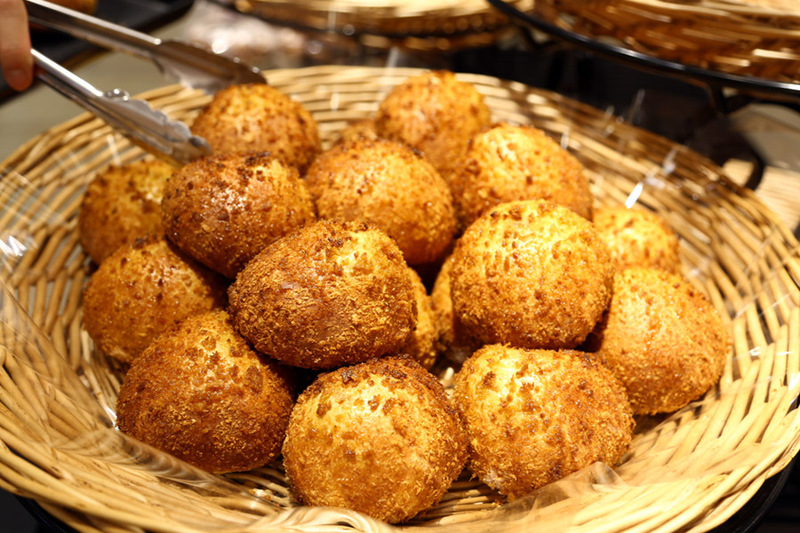 When in doubt, look out for it best-sellers such as the Pain au Curry (¥324, SGD4), Croque Madame (¥583, SGD7.24) and Brioche a la Crème (¥313, SGD3.88). The Curry Bun was indeed quite exceptional, containing some corn and cheese and only mildly spicy curry fillings. The bun was crispy crusted yet soft, not too oily to the touch. 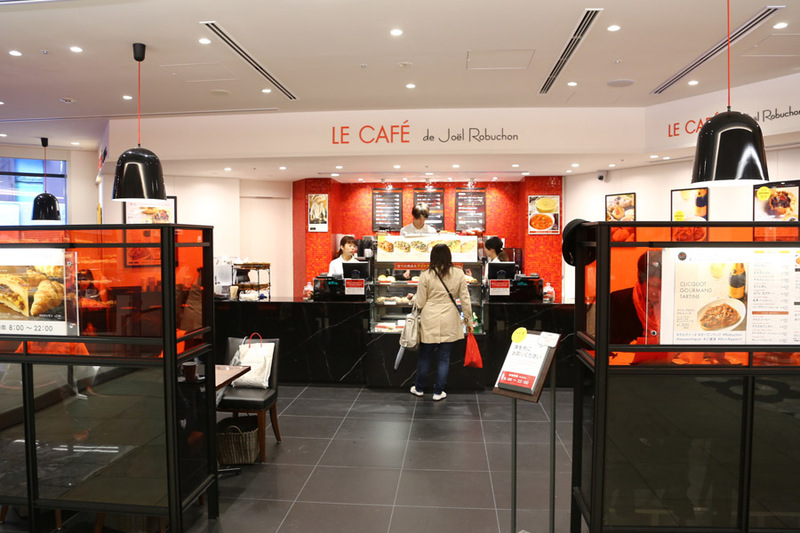 The café serves a selection of drinks and food items including American Coffee (¥380), Espresso (¥380), Earl Grey Tea (¥430), Iced Café Au Lait (¥430), White and Red Wines at ¥500 a glass or ¥3000 a bottle, beer (¥500), Tartine au Champignons et Gorgonzola (¥561), Sandwich au Jambon et Camembert (¥486), Minestrone and Cold Creamy Pumpkin Soup (¥400 each). Look out for occasional seasonal special. 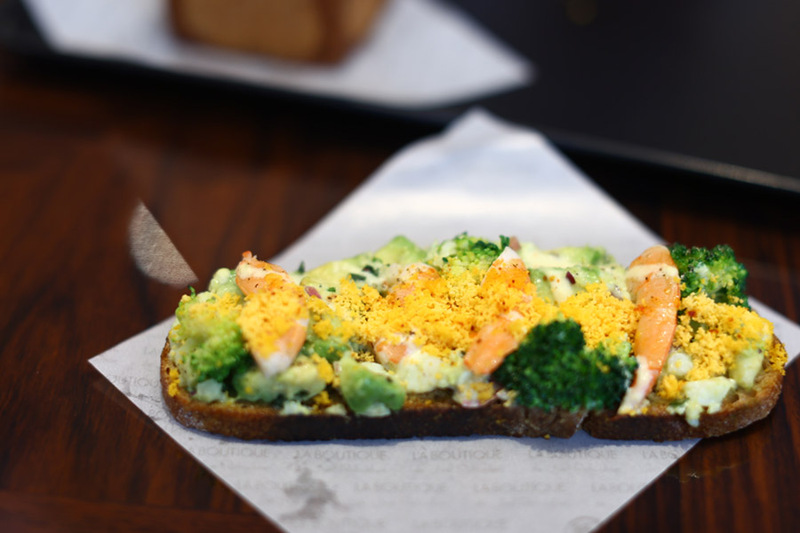 When I was there, there were French inspired Tartines topped with fresh produce. 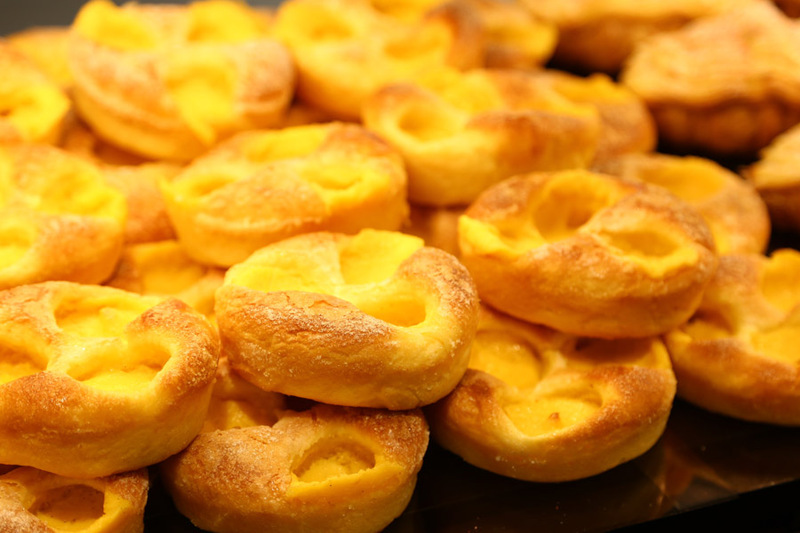 While you may not get “Michelin standard” food here, Le Café de Joel Robuchon allows you to try some of the master’s breads – which are expensive but of reasonably good quality.